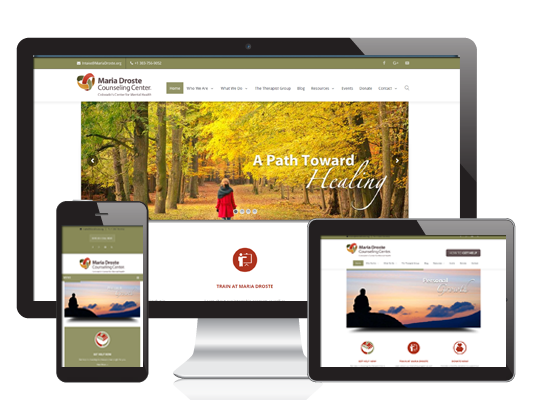 Maria Droste Counseling Center in Denver, Colorado had an outdated website with several issues with their plugins. The site was also not mobile-friendly or responsive. Enter DaBiri Designs! We created a new responsive and mobile-friendly website that makes viewing it on your cell phone a breeze. We also updated all their plugins and fixed all the compatibility issues. Since they do a lot of fundraisers, we also installed and configured an events manager system where they can create their own events with the ability to sell tickets and more! Ask us how your business can benefit from mobile-friendly web design.